Richard F O'Connor was born in Waterloo, Iowa to Francis J. and Emma Schmitz O'Connor on July 9, 1923. He had eleven brothers and sisters. After living in Minnesota for several years he came with his family to Oregon in 1941 where he completed high school in Stayton in 1942. In July of 1942 he joined the United States Marines and he served in the Midway Islands. After the service he attended Oregon State College for a short time and worked as a truck driver. He was hired by the Oregon State Police in 1947 and served all nine years out of the Coquille office. 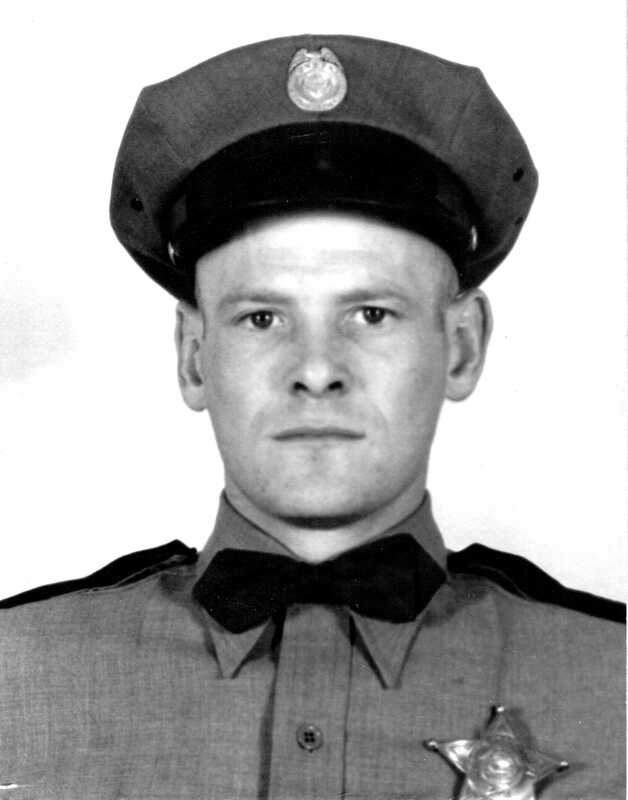 On May 8th, 1956, Trooper O'Connor, 33, was sent from Coquille to a motel in Bandon to serve a summons on a 36-year-old millworker, Ralph Pyatt, directing Pyatt to appear in court on a charge of driving without an operator's license. Trooper O'Connor knocked on the door of the Twin Firs Motel where Pyatt lived. When it opened, Pyatt shot Trooper O'Connor with a 22-caliber pistol four times. Trooper O'Connor staggered outside, fired two shots from his .38 wounding Pyatt in the head, then died. Pyatt, wounded, crawled back inside the cabin and fell unconscious against the door. Neighbors found O'Connor's body and called police. Pyatt was taken to a Portland hospital where he died19 days later of his bullet wound. Trooper O'Connor was survived by his wife, Lela, three sons, his parents, and several brothers and sisters. He had a brother, James, who had been killed at the battle of Iwo Jima in 1945. Trooper O'Connor was buried at St. Mary Catholic Cemetery in Stayton. © 2011 OSP Foundation. Site Design by, DD. Powered by, JRC and OSS.